From left to right: Macomb County Sheriff Anthony Wickersham, Macomb County Executive Mark Hackel, State Senator Steve Bieda and Macomb County Prosecutor Eric Smith. Steve Bieda knows how to get things done. That's why he was named Michigan's 2017 "Democrat of the Year" by MIRS. He is the only candidate who will bring honor, stability and integrity back to the Macomb County Clerk's office. 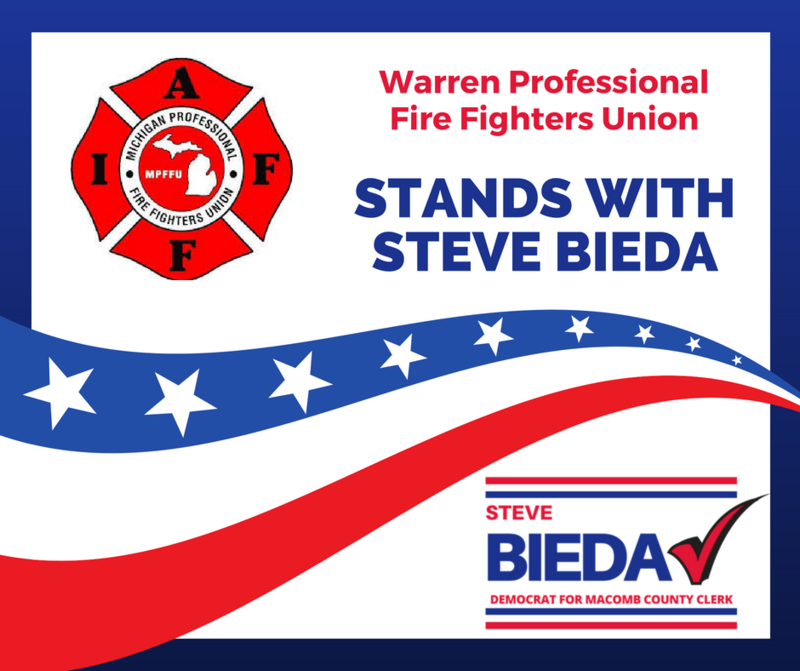 And that's why so many local leaders are proud to stand with Steve Bieda.